asks what you do for work? Joanne Gerber:I am an evidential psychic medium. The word "evidential" is a very significant term in its application to my work. During a mediumistic reading, I link with the spirit side of life, using my highly attuned senses of a clairvoyant, clairaudient and clairsentient to bring through detailed evidence of proof of survival, after the physical change called "death". 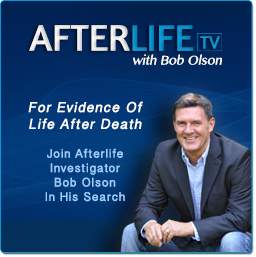 That evidence may include: a physical description of the person being contacted, a description of their personality, how they passed, names, significant dates, shared memories, things they might have said, descriptions of a home where they lived, or objects that have been gifted to the sitter prior or after the passing. The spirit communicator may also provide information to prove that they are around you, by giving information specific to situations and occurrences in your life. Once the spirit communicator has been established, I will then talk with the spirit to ask what they would like to convey as a message to the sitter. It is a three way communication process between the sitter, the spirit world, and myself as a psychic medium. Sometimes many spirits will come through during a reading, and also pets that have passed can come through. When I am giving a psychic reading, I read a person's energy field, or the aura, and connect to their soul vibration, through the use of my finely tuned senses, giving detailed information about past, present and future life issues, consulting with spirit guides, masters, teachers and angels, to bring through the highest and best guidance for the sitter. Since I am a psychic medium, loved ones in spirit world who want to be acknowledged may decide to "drop in" during a psychic reading. Joanne Gerber: Growing up, I was always a sensitive child. I first realized I had this gift as a very young child, at about the age of eight, when I first began to see spirit. I was discouraged from openly talking about my experiences, and the spirit encounters that I was having were dismissed as "my imagination" by the surrounding adult world. The "imaginary friend" that I had during my childhood was validated almost thirty years later as an actual child of the earth plane who had passed to spirit. The exact description of this child was given to me during a reading I received by a platform medium at a Spiritualist Church. At the age of twelve, just months after my maternal grandmother had passed, I was able to see her standing at the foot of my bed, and I could hear her talking to me. At the age of thirteen, I had a near death experience. I began to see and hear more. The impressions that I was receiving became stronger. It was not until later in my adult life that I made a conscious decision to learn more about what I was experiencing. I read many books and took many classes. There are way too many experiences to describe within this one interview. Maybe someday you will read about it in my book! Joanne Gerber: I was blessed with the opportunity to work as a professional psychic medium about five years ago. I had been receiving numerous signs from spirit that my work as a psychic medium and teacher is my "calling", and put my trust in spirit, surrendering my previous profession to do this work on a full time basis. I followed the flow of the energy, and through the grace of God, giving readings and teaching classes became my full time profession. I am both honored and grateful for this lifetime opportunity. To this day, I have literally given thousands of readings throughout the US and abroad. Joanne Gerber: When I began my development process, I attended spiritual development and meditation classes three to four nights a week, in which it was discovered that I was a naturally gifted psychic medium. I also attended and continue to attend many other spiritual philosophy classes, including classes of Spiritualism, Kabbalah, healing and energy work which has helped to enhance my own spiritual growth and mediumistic development. I currently attend and serve as lecture and medium in weekly Spiritualist Church services. Over the years, I have taken many classes and workshops with the best teachers from the US and England. I value the importance of education and experience in regard to my work. Joanne Gerber: I have a Bachelor of Science Degree in Business Administration and Marketing. I am Reiki Certified, and hold certification in both Clinical and Metaphysical Hypnosis. I have a Certificate of Achievement for Outstanding Performance of Mediumistic Ability. I have been a student of Spiritualism, Kabbalah, Buddhism, Science of the Mind, Unity, Astara and many other spiritual pathways. I read and research articles on science, spiritual philosophy and metaphysics continually, and strongly believe in a daily practice of meditation, prayer, affirmations and gratitude. I am also a member of The Association for Research and Enlightenment, The International Association of Counselors and Therapists, and the American Board of Hypnotherapy. Joanne Gerber: My intention with my work is to use my natural gifts and abilities in their fullest capacity to help those who are looking to connect with loved ones on the other side, and to help provide spiritual education, enlightenment, guidance and healing. I am motivated by the desire to help heal with spirit through compassion, love and understanding. The true joy of my work comes from a place of love, dedication, sincerity and integrity in my work as a psychic medium and teacher. Joanne Gerber: I offer one hour private sessions, in person and by telephone, and also half hour sessions by telephone. I do suggest the hour reading, which I term as a "full session". Since we are already making a connection, the one hour session allows for more time to bring through more information. I also offer both private and group readings. 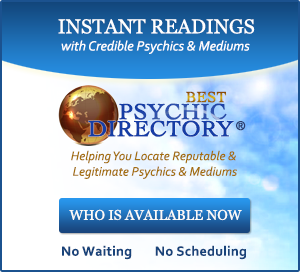 Joanne Gerber: I first ask the client if they are looking to connect with someone who has passed, (a mediumistic reading) or if they are looking for helpful guidance for life issues (a psychic reading). Some people just want to experience a reading, without any particular agenda in mind, which is fine, and may chose to experience both a combination of a mediumistic and psychic reading. I always tell clients not to volunteer any information about themselves or about the person in spirit they want to connect with. The less I know about a person or of their people in spirit, the better I am able to work. This is a case where "less equals more". Once I have assessed a clients needs of how I can best serve them, I then explain the process of the reading, and how I will go about presenting the evidence and information during the course of the reading. I give the sitter the opportunity to ask any questions they may have pertaining to the process before the reading begins. I believe it is important for the client to feel comfortable and at ease. I always begin the reading with a prayer and invocation, asking for spirit guides, angels, masters, teachers, and loved ones on the other side to be present in helping to facilitate the session. Sometimes a client will come to a reading with specific questions. My response to that is to allow me to work in the most "natural way", which is to channel through the information that I am receiving, and then if there are still questions remaining, they are welcome to ask their questions. I find that most of the time, spirit knows what the questions are, and will provide the answers before a client has the opportunity to ask. However, the reading is an open and interactive format, and the client is welcome to ask any questions that may come to mind at any time during the reading. An important aspect of spirit communication is to provide evidence of the survival of the spirit after the change called death so that there is no doubt in the sitters mind that they have been in contact with their loved ones on the other side. In every reading, I work to my fullest potential to provide the utmost evidence, and sometimes this evidence can be truly profound. I do not believe in being vague, and I use this as an example: "Your grandfather is around you and he loves you." When your grandfather or anyone else from the spirit side of life is communicating with you during your reading, I am going to ask the individual spirit to provide sufficient evidence that you can understand in relationship to the communicating spirit. Just to say that a specific person from spirit is "around" is not evidential enough to meet my criteria as a psychic medium. Clients will often provide me with feedback of a reading weeks to months to years after a session has taken place, validating some of the evidence that at the time of the reading was unknown to the sitter, and this can be truly amazing. I receive these kinds of emails quite frequently, and I like posting the feedback from my clients to the testimonial pages of my website. It helps people to understand the nature of a reading, and that a reading is never a scary experience, but quite the opposite. Towards the end of the session, the client has the opportunity to ask any questions not previously addressed. 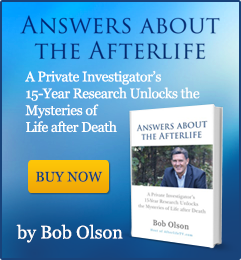 Bob Olson: How is a reading with you "similar" to what people have seen on TV when John Edward gave a reading on his show "Crossing Over With John Edward?" Joanne Gerber: I have a lot of respect and admiration for John Edward. 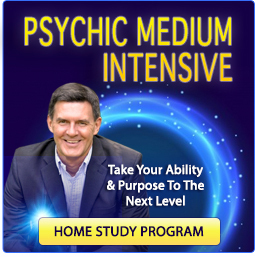 He has opened many minds along with other TV mediums and TV shows like Medium to educate people about spirit and spirit communication, and is somewhat responsible for the popularity of the newly generated interest for contacting a psychic medium. Ironically, many people have referenced my work to be similar to the work of John Edward. If you enjoy the John Edward Show, you will enjoy the experience of having a session with me. Bob Olson: How is a reading with you "different" to what people saw on TV when John Edward gave a reading on his show "Crossing Over With John Edward?" Joanne Gerber: The John Edward Show is a public demonstration of mediumship. I also participate in many public demonstrations, which I love to do. However, nothing compares to being able to enjoy a private individual session. It is more up close and personal than a public demonstration. Joanne Gerber: My intention is to serve you in the very best way that I can, and offer you the very best possible reading. As we know, intention is everything. You may want to send your love to those in spirit before your session. Love is the energy that can help strengthen the connection with the spirit world. Spirit is intelligent, and most likely already knows that you have scheduled your session with me. Joanne Gerber: Since other psychic mediums have their own unique way of working, I can only speak for myself. As a psychic medium, I have taken an "oath" with spirit to help and to heal through my work. I put all of my energy into my work, and have confidence in knowing that I am giving the very best that I have to offer. I measure this by how often clients express their gratitude for having a session. Often clients tell me that their experience has been both uplifting and enlightening, and has brought them a sense of well being, after just one session. Joanne Gerber: I teach classes and workshops in beginner and advanced levels of psychic and mediumistic development, past life regression, meditation and various other spiritual classes on an ongoing basis. The classes are taught at new age shops and wellness centers throughout the US. I believe in assessing each students developmental needs individually, not collectively, so that each student can gain the most from their educational experience. I lecture and offer mediumship at Spiritualist Churches services, and hold small public and private "Evenings of Spirit Communication", at various locations. I have been a guest speaker and mediumship demonstrator at Chiron Expos and The Whole Health Expo. I enjoy offering public demonstrations of mediumship, and love to travel with my work. Joanne Gerber: I offer both private in person readings and phone readings, and Internet readings for the hearing impaired. I also offer group readings in my office, at new age stores, wellness centers and at a residence or place of business. Joanne Gerber: To schedule an appointment for a private or group reading, please call me at: 781-883-5403, or email me at: joanne@joannegerber.com. I'll be happy to provide you with current availability. Joanne Gerber: Mediumship is a sacred gift. As a psychic medium, I value, appreciate, honor and respect my work with spirit. I am spiritual, enthusiastic, energetic, compassionate and passionate with my work. I am serious and sometimes, a little humorous. Laughter is healing. I am doing exactly what I love to do. There is nothing more fulfilling than the ability to help and to heal others. I know that there are many who feel the same need to help others. There are many books and classes to help you to expand your consciousness. Learn from yourself and learn from others. The right path is always the path from the heart. Listen to your heart... and don't be afraid to follow your dreams. Allow God and the universe to work with you... just let go and let God.